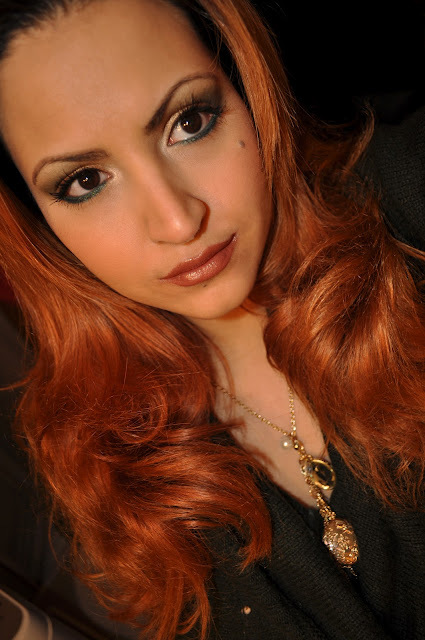 I used Tarina Tarantino's Jewel Eyeshadow Palette in Wonderful to create my St. Patty's Day look. A dark mossy green with shimmer and fleck of green. A frosted pale seafoam green with a yellow sheen. 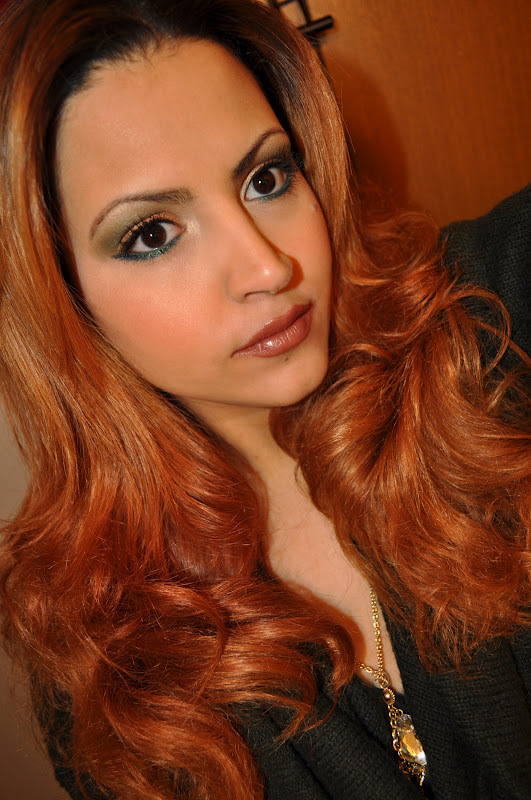 A semi-matte deep chocolate brown with flecks of green, copper and gold. A frosted warm mid-tone copper. 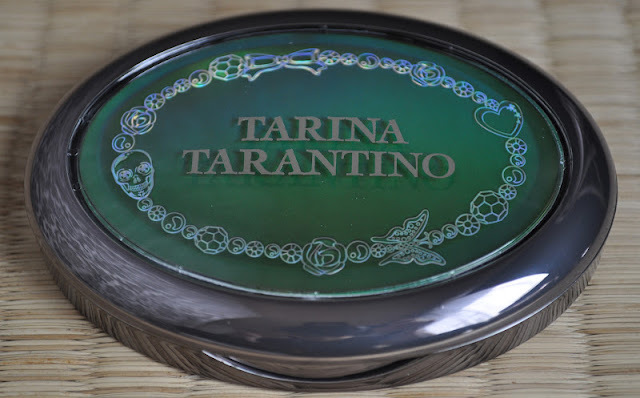 The Tarina Tarantino Jewel Eyeshadow Palettes retail for $32, and can be purchased at Sephora and sephora.com. 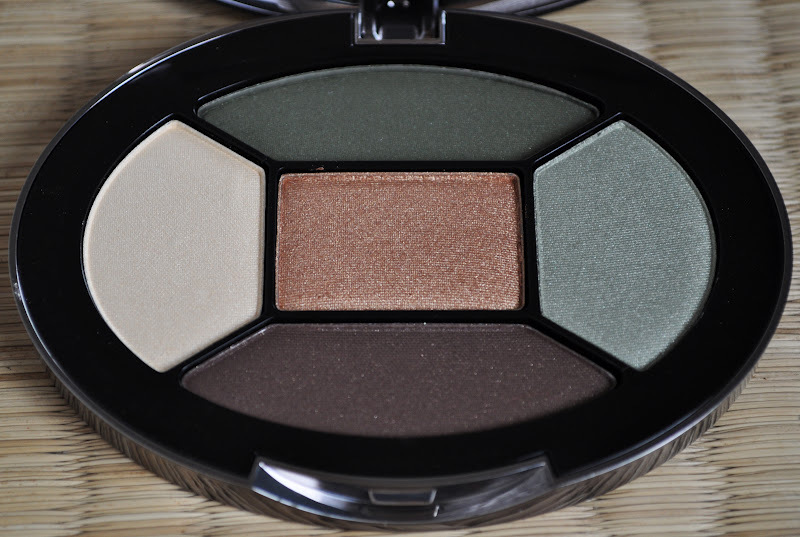 These eyeshadow are buttery, apply beautifully and with such vibrant colors, they really make the eyes POP! None of these eyeshadows are out of the ordinary in regards to color, but the texture, quality, vibrancy and performance really make them worth getting. I cut 4 inches of my hair! Mac Mineralize Skinfinish Natural in Medium Plus. Tarina Tarantino Dollskin Cheek Palette Blush in Feather. The warm mid-tone copper all over the lid and lightly in the inner crease. Mixing the Dark mossy green and pale seafoam green into the crease. The pale yellow in the inner corner and the brow bone. Use the deep chocolate brown to line the upper lash line. Mac Eye Pencil in Coffee, used to tightline the upper water line. Mac Powerpoint Eye Pencil in Blue Noon, in the lower water line. Mac Pearlglide Intense Eye Liner in Undercurrent, line the lower lashline. Laura Mercier Full blown Volume Mascara on both the top and bottom lashes. Revlon colorburst Lipstick in Hazelnut. What was your Saint Patrick's Day look? The colours are amazing! Love how you did your swatches aha! Great post girl! I love that green on the lower lash line! Wow, your comment really brightened up my day, Thank you Stephi!!!!!!! I adore Tarina Tarantino's eyeshadows. Their pigmentation and texture is amazing! You should definitely check the brand out, you won't be sorry. Have an awesome day/night sweet heart. How have you been on your end?